Dr. Balfe works as a manager with the Network where she provides leadership to the team in the areas of website development, project management, marketing and communication solutions, fiscal management, and identity branding. In her previous work, Dr. Balfe worked on grants funded through the U.S. Department of Justice to assist tribes with the development and sustainability of justice systems and addressing alcohol and substance abuse in Indian Country. She also served as the educational liaison on a multi-disciplinary and multi-jurisdictional committee formed to address law enforcement issues that focused on the importance of both tribal and non-tribal entities working together to better collectively serve their communities. Her work continues to reflect her strong advocacy for social justice and criminal justice issues affecting our communities and the people they serve. Angie holds degrees in ethnic studies, criminal justice, and organizational leadership. Ebiere Juliet Cole is a Co-coordinator of the Innovations in Equity Conference. She was previously the Co-coordinator of DTAN’s Annual CREATE and Summit for Addressing Disproportionality. Cole retired as an Associate and interim director of the former Institute for Learning Partnership at the University of Wisconsin-Green Bay, after almost 17 years. At the university, she was responsible for planning and managing the Institute’s conferences, public forums, newsletter publications, diversity programs, while also maintaining contact with local schools and communities. Cole holds a bachelor’s degree in social change and development and collateral in social services. She holds a master’s degree in cross-cultural counseling from the University of Wisconsin, Green Bay. Cole taught race and ethnicity and challenging oppression courses for Education and Social Work departments at the University of Wisconsin Green Bay. Paula Fernandez – Kamewanukiw, works as the Project Coordinator for the Network for Native American Student Achievement. 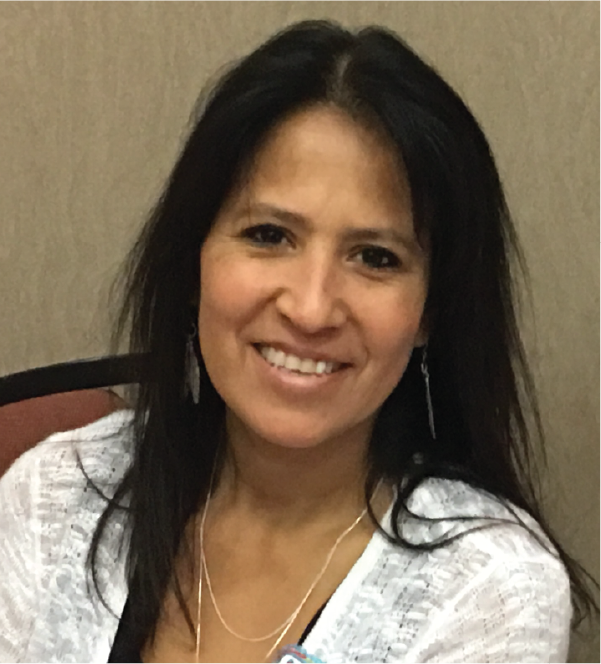 As the Coordinator, Paula develops training and supports with a Native American focus to assist LEA’s in developing a culturally responsive educational environment. Paula holds a BS in American Indian Studies, a BS in Early childhood/Elementary Education, and a BBA in Marketing. For 20 years Paula has worked in Education as a Culture and Language teacher, Culture Coordinator, and a Cultural Resource Specialist. As an educator, Paula mentored staff and eventually directed the incorporation of Culturally Responsive classroom practices across the district. Throughout her career in education Paula has worked at the local, state, and national level as a presenter and consultant on Native American culture, education, and curriculum development. 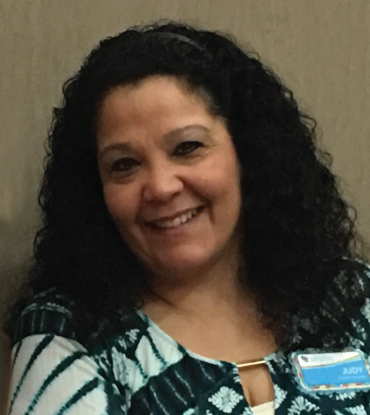 Currently Paula works as The Culturally Responsive Practices Technical Assistance Coordinator with the WI RtI center where she works with schools statewide to assist them in developing a Culturally Responsive multi-level system of supports. Paula is a member of the Menominee Nation turtle clan, and her Menominee name Kamewanukiw – translates to “Rain Woman”. As a wife and mother of 5 children she enjoys Native American crafts and participating in various cultural activities with her family and community. As a lifelong teacher, Paula enjoys educating both youth and adults around aspects of Native American history and education, culture and language, crafts, and ethnobotany. Personally as an equity and diversity advocate Paula works to promote the sharing of knowledge to develop an understanding that will help build bridges between the Native community and dominant society. Dr. Hart-Tervalon has been a consultant on the special education team with the Wisconsin Department of Public Instruction since 2001. She also served as an Assistant Director of Special Education during her tenure. She retired in 2011 but continues to work (part-time post retirement) on WDPI’s Special Education Team as a consultant supporting work focusing on racial equity. Julia Hartwig is an Assistant Director for the Special Education Team at the Wisconsin Department of Public Instruction (DPI). She holds both general and special education licensures, a bachelor’s degree in psychology, and master’s degree in special education. Her previous positions within DPI include School Improvement Initiatives Consultant and Multi-Level Systems of Support Consultant. Prior to work at DPI she was a special education teacher. Mary has provided technical assistance to districts identified as disproportionate to complete the Needs Assessment and Annual Disproportionality Improvement Plan (ADIP). She is also the Wisconsin Transition Improvement Grant (TIG) Post School Outcomes Survey (WiPSO) Coordinator assisting districts with Indicator 14 data collection and transition improvement plans. She lives with her family in Spooner, and has worked as a Director of Special Education and School Psychologist for schools in northwestern Wisconsin for over 25 years. Ananda is a native from Brazil and has a long history of working with communities in the U.S. and abroad. Ananda's academic, professional and personal experiences align with her commitment and passion for transformative educational, equity and inclusion initiatives. Ananda holds a master’s degree in Education Leadership and Policy Analysis from the University of Wisconsin and a bachelor’s degree in Human Services and Psychology. Ananda was the Director of the Racial & Restorative Justice department for the YWCA, Madison and has spent the last couple of years at Madison School District. Melissa Moe is an Educational Consultant that has worked at CESA #11 for 25 years. Ms. Moe holds a B.A. in early childhood and elementary education and a M.Ed. in C & I with an emphasis in reading instruction. She is passionate about her work for racial equity and equity for all students and has been involved in both personal and professional equity work for 18 years. Melissa's work has been as an equity coach and professional development presenter. Ms. Moe is currently the Disproportionality Technical Assistance Network Coordinator for Training and Supports. I am a White woman. I am a wife, mom of 5, grandma of 6, daughter, and sister. My Christian faith and spirituality are an important part of my daily life. When I am home I enjoy spending time with family, gardening, reading, and traveling. My life’s work and passion are education, literacy consultant, supporting teachers and administrators, and being an equity advocate, coach and activist. I have been actively involved in Wisconsin’s statewide effort to address racialized inequity since 2008. I began my involvement as a district equity coach and have continued my involvement as the Training and Supports Project Coordinator. My PREP (Personal Racial Equity Purpose): As a White woman I am committed to being a champion for racial equity. I believe that children/people of all races should be treated with respect, dignity and honored for the person that they are. I believe all people should be provided equitable access and opportunities. I will seek counter-stories and multiple perspectives of students and families who are marginalized in our schools and communities. I will interrupt racism when I see and hear it. I will do whatever is in my personal power to help raise the bar of racial equity for all educators, students and families. I will attempt to be consciously aware of when my own biases and Whiteness show up. David is originally from and is a member of the Bad River Band of Lake Superior Chippewa (Ojibwe) in northern Wisconsin. In January 2012, he became the American Indian Studies Consultant at the Wisconsin Department of Public Instruction (DPI). He is also the program lead for the Network for Native American Student Achievement and the Culturally Responsive Early Childhood Tribal Project with Disproportionality Technical Assistance Network or "The Network". In David's role at DPI, he supports school districts' efforts to provide instruction on the history, culture and tribal sovereignty of Wisconsin's American Indian nations and tribal communities, often referenced as Wisconsin Act 31 and the education of Native American students. In addition, he provides training opportunities and presents at conferences and workshops throughout the state of Wisconsin on American Indian education and studies. David also provides general consultation on issues related to the education of American Indian students. 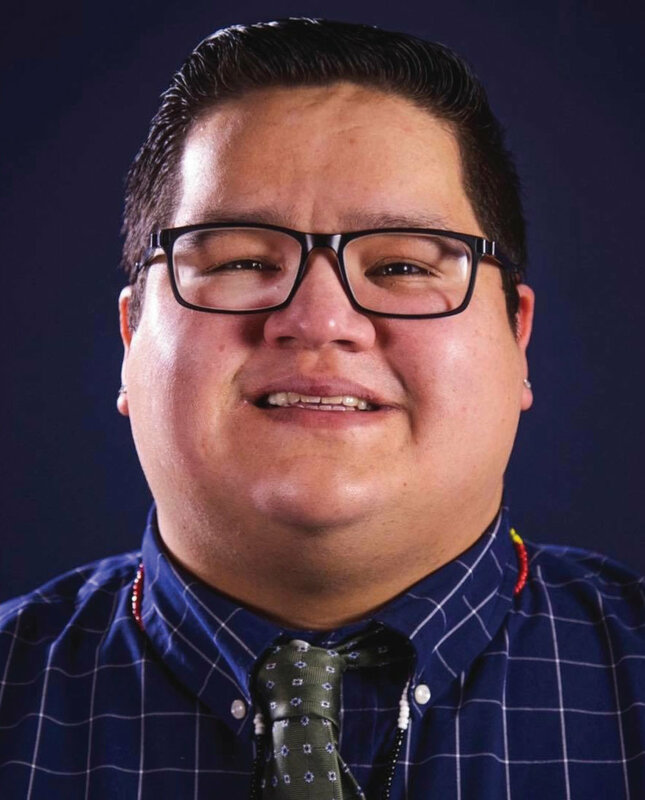 He also serves as liaison to Wisconsin tribal education departments, Wisconsin Indian Education Association (WIEA), Great Lakes Inter-Tribal Council (GLITC) and the Special Committee on State-Tribal Relations. Katie offers support for the Disproportionality Technical Assistance Network "The Network" Grant out of CESA #11. She does behind-the-scenes planning for most of the training offerings throughout the school year. She loves the work "the Network" does and colleagues she gets to serve alongside. Julie provides program support at CESA 8 for the following discretionary grants: Regional Service Network, Early Childhood Special Education Program Support and Leadership, Wisconsin Statewide Parent Educator Initiative, and the Disproportionality Technical Assistance Network "The Network". She also serves as the Program Assistant for Brand New Day - a program that brings mental health services to rural school districts. Julie has worked in special education in public schools for 18 years. Her and her family own a DJ/Karaoke business that keeps them busy almost every weekend. Maya Angelou wrote, “Service is the rent we pay for living.” Courtney has “paid her rent” through two decades of work in the nonprofit and government sectors – always with a clear focus on eliminating institutional barriers to success for underserved students. She started her career in education as a paraprofessional in a segregated school for students with disabilities, which paid for – and informed the focus of – her legal training. Since then, she has conducted legal investigations under federal and state civil rights laws for the State of Wisconsin; managed systems-change state initiatives focused on gender and racial equity in Colorado, Idaho, Iowa and Wisconsin; and served on the senior management team of a national civil rights organization. Courtney focuses on justice in education in honor of her mother, who grew up white in the segregated south, and her daughters, to whom she wants to leave a fairer world. She enjoys spending time with family, reading, doing puzzles, gardening and traveling. Pamela Torres, an Oneida citizen raised in Chicago, IL, moved to Lac du Flambeau in 1988 during the peak of the spearing controversy. She came to the Network after having worked sixteen years under the GLITC-Birth to 3 Program as a liaison supporting collaboration amongst tribal service providers, county Birth to Three Programs and other non-tribal agencies to assure the necessary early childhood services were delivered within tribal communities and in a culturally appropriate manner. Pamela is the Culturally Responsive Early Childhood Project Coordinator with the Network. This position provides statewide leadership on activities to support early childhood partnerships between tribal governments and LEAs, especially LEAs identified under Indicators 4B, 9, and 10. She brings a level of dedication and vision that is well-matched to the agency’s commitment to improve the academic outcomes of American Indian students with disabilities. Pamela’s expertise and leadership will be significant in advancing the high stakes work for the Culturally Responsive Early Childhood Project and the Network for Native American Student Achievement to ensure effective and positive learning outcomes.